Forthcoming: Daley, Caron. “Teacher Resource Guide: Cantate Domino.” In Teaching Music through Performance in Choir, Volume 5, edited by Hilary Apfelstadt. Chicago: GIA Publications (2019). Forthcoming: Daley, Caron. “Teacher Resource Guide: Miniwanka.” In Teaching Music through Performance in Choir, Volume 5, edited by Hilary Apfelstadt. Chicago: GIA Publications (2019). Forthcoming: Daley, Caron. “Teacher Resource Guide: Snow Angel.” In Teaching Music through Performance in Choir, Volume 5, edited by Hilary Apfelstadt. Chicago: GIA Publications (2019). Forthcoming: Daley, Caron. “Teacher Resource Guide: Lover’s Chant.” In Teaching Music through Performance in Choir, Volume 5, edited by Hilary Apfelstadt. Chicago: GIA Publications (2019). Forthcoming: Daley, Caron. “Teacher Resource Guide: V’la l’bon Vent.” In Teaching Music through Performance in Choir, Volume 5, edited by Hilary Apfelstadt. Chicago: GIA Publications (2019). Forthcoming: Daley, Caron. “More than a Playlist: Concert Programming as Curatorial Practice. Anacrusis 36, no. 3 (2018). Daley, Caron. “Reimagining Conductor Score Study through the Principles of Émile-Jaques-Dalcroze’s Eurhythmics.” Choral Journal (2018): 18–26. Daley, Caron. “Slow Conducting: Finding Timelessness and Pleasure in Podium Work”. Anacrusis 36, no. 1 (2017): 42–4. Daley, Caron. “Teacher Resource Guide: Psalm 100.” In Teaching Music through Performance in Choir, Volume 4, edited by Jo-Michael Scheibe, 338–43. Chicago: GIA Publications (2017). Daley, Caron. “Teacher Resource Guide: Ah! si mon moine voulait danser.” In Teaching Music through Performance in Choir, Volume 4, edited by Jo-Michael Scheibe, 531–6. Chicago: GIA Publications (2017). Daley, Caron. “Teacher Resource Guide: Rise up, My Love, My Fair One.” In Teaching Music through Performance in Choir, Volume 4, edited by J-M. Scheibe, 629–33. Chicago: GIA Publications (2017). Daley, Caron. “Structuring Choral Warm-ups for Chorister Success, Part II: Developing Musicianship Skills.” PMEA News 81, no. 3 (2017): 46–7. Daley, Caron. “Structuring Choral Warm-ups for Chorister Success, Part I: Developing the Choral Instrument.” PMEA News 81, no. 2 (2016): 34–5. Daley, Caron. “Embodied Sound: A Resource Reference Guide on the Use of Movement in Choral Conducting and Rehearsing.” Journal of the American Choral Foundation – Research Memorandum Series 209 (2016): 1–7. Daley, Caron. “Conducting in Fours: Team-based Podium Leadership and the Summer Singers.” Anacrusis 35, no. 1 (2016): 32–3. Daley, Caron. “Maestra Matters: Women’s Leadership in Choral Music-making and Community-building.” Anacrusis 34, no. 3 (2016): 38–40. Daley, Caron. “Expanding Definitions: Parole Officers and the New Chorister Perspective.” Anacrusis 34, no. 2 (2016): 42–3. Daley, Caron. “What Advice Would You Give your 24-year-old Self? Reflective Practice on the Podium.” Anacrusis 33, no. 3 (2015). Daley, Caron. “It’s Lonely Up Here: Building Supportive Frameworks for Conductor Teaching and Learning.” Anacrusis 33, no. 2 (2015). Daley, Caron. 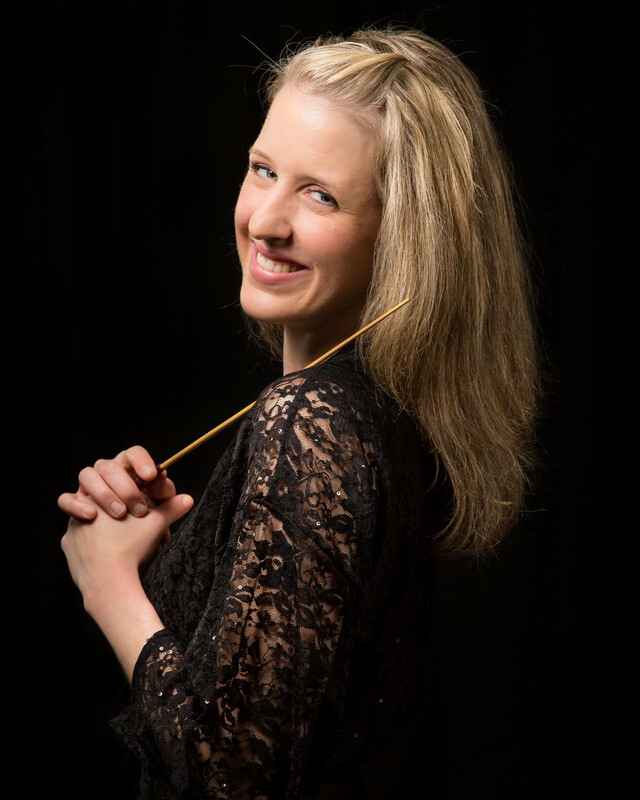 “Lifelong Learning: Tuning in to Conductor Continuing Education. Anacrusis 33, no. 1 (2014). Daley, Caron. “I Am the Song: Teaching Choral Skills-Internalization through Embodied Pedagogy – Part 2.” Anacrusis 32, no. 3 (2014). Daley, Caron. “I Am the Song: Teaching Choral Skills-Internalization through Embodied Pedagogy – Part 1.” Anacrusis, 32, no. 2 (2014). Daley, Caron. “A Whole-body Approach to Choral Teaching and Learning: Dalcroze Eurhythmics in Action in the Choral Context.” Canadian Music Educator 52, no. 4 (2012). (Invited). Daley, Caron. “Dalcroze Eurhythmics for Conductors: Applications for Score study, Gesture, Rehearsal and Performance.” Being Music 2, no. 2 (2008). Daley, C. “More than a Playlist: Programming Concert Experiences for Choirs”. Presentation at the Pennsylvania Music Educators Association Conference, Lancaster, PA, April 19, 2018. Daley, C. and Rusiewicz-Leavy, H. “Speaking, Singing, Moving, Learning: Infusing Body Movement into Teaching”. Presentation at the 2018 Pittsburgh Regional Faculty Symposium, “Small Changes Advancing Learning”, Pittsburgh, PA, March 16, 2018. Daley, Caron and Heather Rusiewicz. “Hands to Mouth: Manual Mimicry in Choral Singing and Conducting.” Presentation at the Eastern Division Conference of the American Choral Directors Association, Pittsburgh, PA, March 8, 2018. Daley, Caron. “Non-verbal Teaching and Learning in the Choral Classroom.” Presentation at District 12 Professional Development Conference, Kennett, PA, November 7, 2017. Daley, Caron. “Movement Improvisation and Play-based Inquiry in Conductor Education.” Paper presentation at the 3rd International Conference of Dalcroze Studies, Québec City, QC, August 2, 2017. Daley, Caron. and Heather Leavy Rusiewicz. “Manual Mimicry in Vocal Pedagogy: Exploring Embodiment and Entrainment in the Teaching and Learning of Speech Sounds for Singing.” Presentation at the 46th Annual Voice Foundation Symposium: Care of the Professional Voice, Philadelphia, PA, June 2, 2017. Daley, Caron. “Dalcroze Eurhythmics for Choral Educators.” Presentation at the Pennsylvania American Choral Directors Association Fall Conference, Selinsgrove, PA, November 5, 2016. Daley, Caron. “How Do I Gesture That? Developing a Conducting Vocabulary to Capture your Ideal Sound.” Presentation at the Pennsylvania American Choral Directors Association Summer Conference, Elizabethtown, PA, August 2, 2016. Daley, Caron. “Choral Eurhythmy: Movement Games for Singers”; “How Do I Gesture That? Developing a Conducting Vocabulary to Capture your Ideal Sound.” Presentations at the Pennsylvania Music Educators Association Summer Conference, Seven Springs, PA, July 12, 2016. Daley, Caron. “Charting a Course for the 21st Century Conductor: Preparing Conductors for Creative, Collaborative, and Socially-engaged leadership. Presentation at Chorus America’s National Conference, Boston, MA, June 24, 2015. Daley, Caron. “The Embodied Score: A Whole-body Approach to Studying, Rehearsing and Performing choral repertoire. Presentation at Choral Canada’s National Conference, Podium 2014, Halifax, NS, May 16, 2014. Daley, Caron. “Moved to Learn: Dalcroze Applications to Choral Conducting Pedagogy and Practice.” Presentation at the Dalcroze Society of American National Conference, Seattle, WA, June 24, 2012. Daley, Caron. “Kinesthetic Learning in the All Boys’ Music Classroom and the Multidisciplinary Impact of Dalcroze Eurhythmics.” Presentation at the International Coalition of Boys’ Schools Conference, London, England., July 11, 2011. Daley, Caron. “Deepening the Mind-Body Connection in Singing: Dalcroze Eurhythmics in the Choral Rehearsal.” Presentation at the Association of Canadian Choral Communities National Conference, Saskatoon, SK, May 23, 2010. Daley, Caron. “Enhancing the Mind-Body Connection: Dalcroze Eurhythmics in Choral Education.” Presentation at the Phenomenon of Singing Symposium VI at Festival 500, St. John’s, NF, July 3, 2009.